We are pleased to add Néstor Varela to our team in the position of Acoustic Engineer. Nestor comes with many years of experience both with Live touring and system design and now he is going to contribute a great deal to the R&D team. He has a telecommunication degree from the University of Navarre. He has also been a Sound Engineering lecturer for some time as well as touring all over the world mixing, designing and setting up systems. 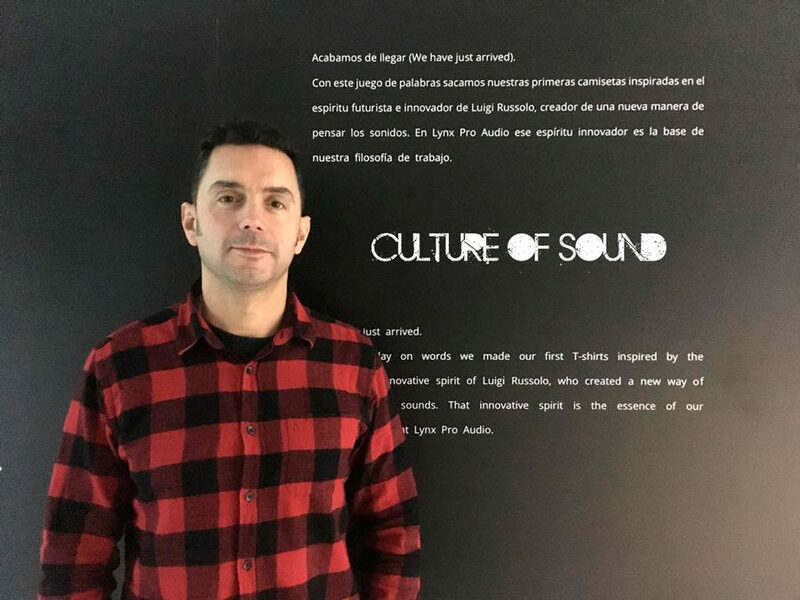 “I’m very excited about joining Lynx Pro Audio, This is by far the most exciting company in Spain for me to be in and I hope to be of great help at this point when we are going to incorporate a great number of innovative, new products to the catalogue. Nestor was thrown in at the deep end, attending the ISE show just a few weeks after starting with the company. He was able to meet our customers and distributors for the first time and form acquaintances as well introduce our new products and explain the technology behind them.